Back in the 1970’s architectural aluminium, shopfronts, windows and curtain wall, was available in anodised finishes. These finishes were limited to silver, bronze and black. In the day, replacement window companies often offered a silver framed aluminium casement window set in a hardwood frame. The finish was exceptionally robust and if you look round today, some of these home improvement windows are still performing well. So why did we all but stop using anodised finishes? Staying with residential home improvement, in the 1980’s the new material on the market was PVC. Expensive at the time, the product offered good insulation and promised a long life with virtually no maintenance. 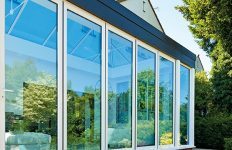 Over the following decade the PVC revolution decimated the aluminium systems, despite white finishes becoming available for aluminium in both electrophoretic and polyester powder coating finishes. 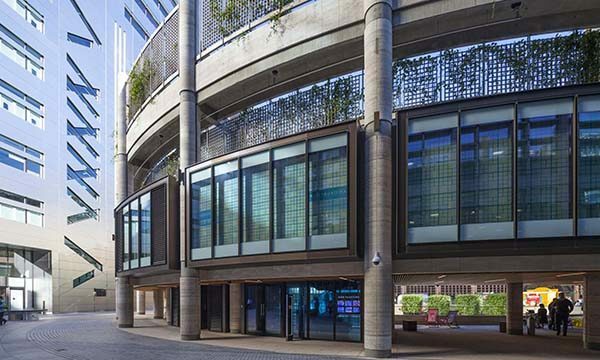 In the commercial aluminium facade market, polyester powder coating gave architects the ability to use a wide range of bright colours in their designs. The ability of powder coating to ‘cover all’, including blemishes in the extrusion seems the perfect finish and, whilst few people would admit in the industry, aluminium dies were produced cheaper as the surface finish of the profile was often to be covered over with a sixty micron coating of ‘paint’. These same profiles, when used for anodising, often showed ‘die lines’ which whilst not unattractive, specifiers were not comfortable with. Powder coating quickly became more economic to apply than anodising and became the finish of choice. In an interesting turn more recently, the powder coat industry has introduced ‘anodic’ finishes to mimic anodised finishes. 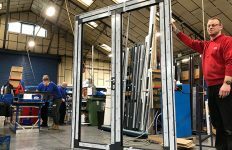 Powder coating has advanced a great deal over the years and offers exceptional quality for architectural aluminium profiles but, architects and specifiers are looking back to the base material itself and want to use it in its natural state. In simple terms, it is a controlled ‘corrosion’ of the surface of the aluminium, turning aluminium into ‘aluminium oxide’ similar to iron oxide (rust) on steel. The difference with aluminium oxide is that once it has been created on the surface of the aluminium it completely seals the base aluminium from further corrosion, unlike steel. So anodising is not an applied finish but a conversion of the surface of the aluminium, so it will not peel or flake. Done to the right quality, the material life expectancy can last many decades and will not fade. So what about the ‘die lines’? Simply put, extrusion dies that have visible faces require more attention prior to use. These dies need to be polished and cleaned more regularly as the extrusion process can be quite abrasive on the surface of the die. 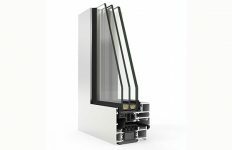 Aluprof, one of the largest producers of aluminium fenestration systems in Europe, produce dies that are dedicated to each finish. The more expensive, often hand finished dies, are kept for anodising specifications. Another key to creating a good anodised finish is the ability to extrude and anodise within a short space of time, thereby reducing the opportunity for natural oxidisation beginning to occur. Aluprof extrude profile through these higher quality dies which offer higher quality surfaces free from ‘die lines’ and once etched and anodised offer a high quality surface which is both very hard wearing and long lasting. Anodising is also now becoming a choice for pretreatment of aluminium prior to powder coating. A very thin anodising of just five microns seals the aluminium prior to powder coating. This sealing or ‘conversion coating’ has traditionally been completed in chrome or chrome free coatings. 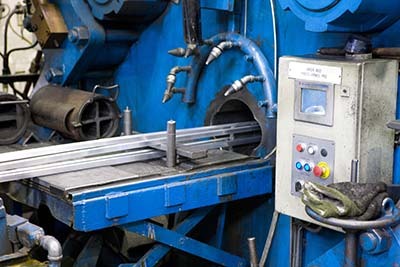 The claim for the use of ‘pre-anodising’ or ‘flash anodising’ prior to powder coating is that it avoids the appearance of a type of corrosion known as filiform corrosion. Anodising plants are also very costly to design and install, utilising high voltage and specialist transformers to rapidly and evenly create an anodised finish. Because of its combined use of a finish in its own right and as a ‘conversion coating’ prior to powder coating, in the UK alone there has been two new anodising plants come on-line in the last couple of years with further plants planned. 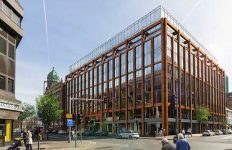 As specifiers tend to specify shades of grey for the majority of fenestration projects, anodising can be specified in both bronze finish and shades of grey. This is created by the introduction of trace metals such as cobalt or tin during the anodising process. Interestingly, as the anodising is ‘clear’, the introduction of these metals forms an optical colour, which cannot fade over time. Crucial for specifiers is the knowledge that higher quality dies should be used for producing profiles for anodising and this is something that should find its way into specification for the finish. Aluprof UK’s head office and extensive distribution centre is located in Altrincham, Cheshire. Aluprof systems are increasingly being specified on a wide range of residential and commercial projects across the UK including Passivhaus projects. Systems are designed, fabricated and installed by selected, specially trained local companies, to ensure each fabricated product meets Aluprof’s exacting standards. Further information is available on the company’s website at www.aluprof.eu and specialist advice is available directly from Aluprof’s UK offices on 0161 941 4005.